Arthritis usually causes chronic inflammation, pain, and stiffness in the joints of the body. This pain and stiffness is often unbearable. There is no permanent cure for it. However, you can get relief from the painful symptoms. Using Apple cider vinegar for Arthritis can help relieve you from the constant pain in no time. It has been commonly recognized as the most effective natural remedy for arthritis pain. Read below to learn how its healing properties can help you live a pain-free and active life in spite of your arthritis. How is Apple Cider Vinegar Good for Arthritis? Use this topical solution whenever you are in pain. Prepare a 10 oz. glass of peppermint tea. Mix 1 part apple cider vinegar with 3 parts apple juice and 5 parts grape juice. This method is great for rheumatoid arthritis. Using apple cider vinegar for arthritis treatment on a regular basis can cause and/or exacerbate throat and stomach pain. If your question is “how much apple cider vinegar should I take for arthritis”, the answer is take 2-4 teaspoons apple cider vinegar regularly to prevent future pain and stiffness. You can also use apple cider for arthritis and tendonitis both. Eat foods that help fight your arthritis. You can also read about other home remedies for arthritis such as turmeric, its close relative ginger, and aloe vera, which is an ancient cure-all for all sorts of conditions. Have you tried any of these methods for relieving arthritis pain? Do you know of any methods we’ve left out? Share with us. Apple cider does wonder for knees and joints, wonderful article thanks for sharing. Me too! I have early signs of arthritis in both knees. Before bed, on one knee took a couple tablespoons of ac added to steaming hot 1/2 cup water, then poured it on a washcloth. Put washcloth on knee and left it there until it cooled off, about 15 mins. Felt a letter better right away. Next morning no pain in that knee, other knew still hurt. Did same on that knee, same results. no knee pain!!!!!!! Be care about drinking it, it can damage tooth enamel they say, drink through a straw. Thanks that helped. Anymore things I can do? One knee will give away once in a while. Can’t take and don’t like meds Dr. give, knocks me out, can’t live like that. I have read that RA is caused by mycoplasma which is a bacteria with no cell walls. Evidently this mycoplasma was weaponized. The articles mention this being connected to Lyme, Parkinson’s, RA,MS etc, etc. So things can be cured by getting rid of the mycoplasma. Did it ever resolve itself? That is the kknee problem you were treating with apple cider vinegar and wsrm water drink? Both of my tyroid glands are removed and I take syntroid. Would taking apple cider effect the medication. Just started to drink Apple Cider hopefully can stop my joints pain that I can’t hardly walk and stand up almost every day that will affect my everyday works. ACV doesn’t cause any complication if you are low in blood. However, we recommend eating beetroot, carrots, green leafy vegetables, broccoli, chicken liver, peanuts and bananas to improve blood count. Amazing. Started using ACV 4 days ago and the pain I’ve had for the last 20 months in my hip is almost completely gone. I noticed decreased pain the very first day. Naproxyn and Aleve never worked this well and I hate taking drugs anyway. Yes, it is. Apple cider vinegar also helps to maintain the blood sugar levels. I take naproxen for arthritis can I take apple cider vinegar at the time? Apple cider vinegar can interact with some medicines. So it is better to consult a doctor before using it. My physiotherapist suggested that I drink apple cider vinegar for arthritis in my hands. The pain certainly has subsided a lot. For a physiotherapist to tell you that, is a great recommendation for ACV. Carol-Ann It is now more than 6 months since your post. Are you still having success with ACV? How do you mix it and how often do you take it? Is it safe for me to take to help arthritis pain cause of having a lower kidney function cannot take inflammatory. You need to check with your local Pharmacist as to interactions with the above medications. Yes, it can lower cholesterol levels, use any methods mentioned above that you are comfortable with. Apart from that you can use hot or cold compress to get relief form pain and stiff muscles. If you have been taking any medicines for RA then we recommend consulting a doctor as ACV can interact with few medications. If it doesn’t interact with you are free to take. We have mentioned various methods in the article. I have severe arthritis in my whole body . Specially my both knees. & I have bakers cysts under my knees. Please let me know how I use vineger or you have any other remedies . Pills & steroids shots do not help. The methods are mentioned in article. Apart from that take warm showers or immerse the painful areas in warm water. You can also use hot or cold compress to relax the stiff muscles. There is one thing very contradictory in this article.First you mention ACV has potassium which is very good for calcium absorption and when taken it makes your body alkaline and then in warnings you say since it has potassium and it is acidic itdecreases bone density.Rheumatoid arthritis patients usually have osteoporosis as well.So what should one believe is it good or bad. Apple cider vinegar contains potassium yet if it is taken on regular basis for a longer period of time then the acidity present in ACV decreases the potassium levels. ACV with insulin can also decrease the potassium levels in the body. ACV can interact with some medicines so it is better to consult the doctor to find out the if it interacts with your medicines or not. My mom told me years ago to take ACV and I did then in the spring I stopped taking it as I didn’t know what I was taking it for. Soon I was limping the pain in my foot was so great it brought me to tears. Then after several weeks I googled the pain I was having and queried a remedy ACV!!! 5 days ago I started drinking 1 tab. Spoon of ACV in 8 oz 3 times a day. It worked great on my sinuses, then yesterday I added honey 1 tab spoon and 1 tab spoon. Will take 3 times a day my question is. Is this enough for bad arthritis pain in my knees ? Yes it did wonders on my congestion in my nose, but not yet on my knee pain how long may it take to releve arthritis pain? Looking forward to feeling better. Thank you for all you comments. Good to hear your experience. Be patient and continue drinking it, you will observe result sooner. How much ACV is to much.? There is no limit set for consuming ACV. But too much of anything gives nothing. So it would be great to limit the consumption up to 4 – 6 tablespoons per day depending on the severity of the problem. Is ACV ok for Ankylosing Spondylitis ? Please respond. Thanks. Yes you can try. Mix 1 tablespoon of ACV in a glass of water and drink it. Repeat 2 times a day. Can i take ACV for rheumatoid arthritis as I have diabetes also? Can ACV help to releive the symtoms of PMR – please let me know , tks . Yes, acv for give relief from the symptoms of PMR (polymyalgia Rheumatica) Arthritis. Hi, How long does it take to work if you have Ankylosing Spondylitis? I have bad flare ups every week and are getting worse. It is difficult to tell the exact time as everyone is different. Be patient and use acv regularly to see the results. I am experiencing arthritis pain and I would like to start the ACV routine. I have osteoporosis and I do not want to decrease my bone density. How long is to long to do the ACV before it becomes a problem? Limit your consumption to 1 tablespoon of apple cider vinegar. Mix it in a glass of water and drink it. Take a week gap after a month of drinking apple cider vinegar. I have hip joint pain.its being over three months since it started. will this apple veneger cure it?? Apple cider vinegar is also good for lymphoma. You can mix 1 tablespoon apple cider vinegar in a glass of water and drink it on an empty stomach. You can also mix lemon juice or honey as well. I’ve always used ACV for my chickens, for health benefits and keeping waterers from turning green, but now I’m starting to use it for all my many chronic pains…..i.e. Osteo and Rheumatoid arthritis, degenerative disc disease, osteoporosis etc. Just wondering, is there anyone who has ever had this miracle cure help lower blood pressure? That would be great!Thanks. ACV can help you deal with diabetes, high blood pressure, high cholesterol, arthritis, soreness and back pain. Mix 1 tablespoon of apple cider vinegar in a glass of water and drink it on an empty stomach daily. I have arthritis in my knees. Also, I have Parkinson’s disease and take Carpadopa-Levadopa 3 times daily, I need to know if I should take my Synthroid tablet for my thyroid first thing in the morning before drinking ACV and honey? If so, how long should I wait before taking medication after AVC? I normally take the Synthroid first thing. Is it safe to drink the AVC with my medication? Apple cider vinegar can interact with some medicines. So it is better to consult your doctor before taking it. Can I drink Apple cider vinegar and castor oil for RA and boost for Immune system. Drink diluted apple cider vinegar for boosting your immune system but don’t drink castor oil. Use castor oil to massage the affected areas as it helps to loosen the stiff joints. my range of motion a lot. Do you think that ACV can help get rid of it? Yes, it may so you can give it a try. Now I ask, Can I give it to my dog? She is 70 lbs boxer and 14 years old. And to my husband. He is 47 years old and healthy otherwise, he was diagnosed with Cilliac disease 2years ago and the pain is making him miserable. Would ACV help him?? Yes, you can give it to your dog as well. ACV dosage for dogs is 10ml or 1 teaspoon per day. You mix it into the water they drink. Apple cider vinegar helps to digest the gluten so it should give relief to your husband. Let him try it for few days, if he doesn’t get any relief then let him stop using it. Add 1 – 2 tablespoons of apple cider vinegar to water and let him drink it before meals. He can also drink it whenever he experiences pain. Last week Dr said that I have arthritis in my left knee it was to pain ful I could not bend my knee. so now I have decided to take ACV so let see if it will work on my arthritis and special on my knee, I just started the first dose today 27-08-2016. It is good to hear that the pain and stiffness had reduced. Regular follow up of the process helps in healing RA to maximum extent. Don’t stop using mixture once the pain and stiffness is reduced. Follow the process at least once in a while to prevent recurrence of the discomforts in future. I have arthritis in my knee,wrist and shoulder. I take warfarin tablets and also have borderline diabetes. Can you please advise me as to which formula would be best for me? You can try 3, 6, 8, 9 methods for getting relief from arthritis. I recently found that I have arthritis in the left side of my neck along with a bone spur. I’m going to start mixing 1 tea spoon in a glass of water every morning to see how this helps with the pain and inflammation. I’m seeing a Physical Therapist now in addition to my family Internist who proscribed me Celebrex ( 1 200mg daily) for the neck discomfort. It would be awesome if I could stop the medicine after getting on the ACV. All of my arthritis is “trauma-based” (from injuries). WilL ACV be an option? It may help. So you can try it. Very useful tips. I am using ACV (1 Tablespoon in one glass of water) daily for a month now. Does it have effect on diluting body fat? Can it be consumed by people of all ages? Does it open blocked fallopian tubes too? I read it somewhere. Apple cider vinegar increases the metabolism which enables your body to burn the fat faster. It can be consumed by people of all ages. But it can lower potassium levels and blood sugar levels, decrease bone density if consumed in large amounts. Yes some claim to clear the blockages but we don’t have any scientific proof for that. Yet it can be tried. Will ACV and honey plus tart cherry juice help shoulder pain caused from Arthritis——– how much how often? Yes, it may help. Drink 2 times daily. It is better to consult your physician to know whether the acv will interact with the medicines you are taking. If they don’t interact, then confirm the dosage of acv as per your medical history. My cat has severe arthritis in h spin and hips, I’ve checked with vet and he is fine to try ACV, he has been taking it for a week, and think it’s helping, but I was wondering how long it usually takes to have an effect? It is difficult to tell the exact time frame. So, try giving acv regularly. Is it ok to drink ACV straight-up? Drinking undiluted apple cider vinegar can cause burning sensation to your esophagus. So, it is better to avoid direct consumption. I’m considering mixing a tonic of 1T ACV, 1T honey, and 6 oz. warm water to drink in the morning to help with osteoarthritis in my knees. Does this sound like an effective mixture? Yes, it is. You can slowly increase the apple cider vinegar content to 1 tablespoon. Yes, the apple cider vinegar and honey will help. Try the process regularly with some patience. 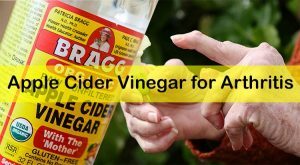 I have recently that I have arthritic that affected all my joint, I feel more pains in my head from October 2016 is four months now, so can using acv help to stop the pains? Usually, arthritis doesn’t effect the skull because it doesn’t have any joints. We recommend consulting a doctor to find out the exact reason. recently diagnosed with RA the side effects of the meds they want me to take scare me. I have knee pain every now and again and it is not like I “can’t” walk when I get he pain. I will be trying the ACV + organic raw honey method, and pray it helps me avoid the meds. My question is should I use Apple Cider Veneger too? Note that I’m suffering with stomach ulcers for 4 years now. Apple cider vinegar doesn’t worsen the ulcers, in fact it helps to treat the problem. But it is better to avoid taking apple cider vinegar as it can interact with certain medicines. I started taking. Acv for stomach pain a week ago. It’s been a miracle for my acid reflux, but since taking it it has caused every bone and joint in my body to flare up with extreme pain. I have Rh, osteo and psoriatic arthritis. I can barely move my hands now. Is this bad for psoriatic arthritis.? I can’t eat without it, yet I’m afraid it will cripple me. Actually, apple cider vinegar is helpful in providing relief from psoriatic arthritis. But in you case, if it is worsening the problem then avoid consuming it. Is it help full for anklosing spondilites patients ! I am suffering from AS for last 5 years. Please suggest that ACV will be help for pain relief. Yes, ACV is helpful. Add 2 tablespoons of apple cider vinegar into a glass of warm water and drink it up. You can add honey for taste. I have arthritis in both the knees. Somebody told me to take ACV one tea spoon with glass of water. Can you tell me that it will improve my knee pain? Now i have done acupuncture treatment the pain is less but while climbing or descending the steps still pain is there. I go for a walk approx 2.5 K.M every day. When ever i feel pain in my knee then i sit for a while and then walk. Can i take ACV will that improve my arthritis? Yes, ACV helps to reduce the pain and stiffness in the joints caused by arthritis. The magnesium in ACV helps to absorb the calcium which is essential for bone strength. How much time it shall take to cure approx time.Please. It is difficult to tell the exact time as it differs from one person to another. So, try the method with patience until you get relief. Does ACV help with the swelling associated with RA? I have stiffness and a little pain mostly, but there is swelling. No trauma to the knee at all. Yes, ACV contains anti-inflammatory properties which reduces the swelling associated with Rheumatoid Arthritis. It also provides relief from stiffness and pain. Well I want to tell you, I’ve been trying ACV and Tart Cherry juice 2 Tbls each in water at least 2 times a day. I’m scheduled to see an orthopedic specialist and a Rheumatoid specialist because my knee had swollen kind of large, lots of stiffness when standing for periods of time, a little pain but not much, just uncomfortable, as well as some pain in the right joint of my index finger. Its been a little over a week and the swelling went down significantly, I can walk almost normally with no stiffness. I tell you this is a miracle because I truly do not want to take Rx drugs for the rest of my life at the expense of my internal organs being damaged by them. I’m sure the ACV has a lot to do with alkalizing my body in some way, but I’m still thankful otherwise for you sharing this homeopathic solution. I have been suffering from juvenile rheumatoid arthritis from last 26 years. My joints are deformed with no mobility in my knee elbow and wrist ie I am unable to walk. In fact all of my joints are painful with little or more pain. I have started taking acv apple cider vinegar and blackstrap molasses with honey 3 times a day since 1 and a 1/2 month my question is with the said drink can I get my mobility back n how much time will it take. Please reply…. The ACV drink may not get the mobility back however it helps to prevent the problem from worsening. To get mobility, you have to drink the concoction of parijatha or nyctanthes arbor leaves. Add handful of leaves into a cup of boiling water. Simmer for few minutes and remove from the flame. Strain and drink while it warm. Repeat the process regularly to notice the improvement. It may help with inflammation but however we recommend consulting your doctor before consuming ACV. Recently I was told that ACV capsules are on the market. That helps avoiding the acidity effect of ACV on teeth. What do you know about this? By the way thanks for the great article. You can also take ACV tablets to get its benefits and avoid its effect on teeth. However, for proper dosage we recommend consulting a doctor. 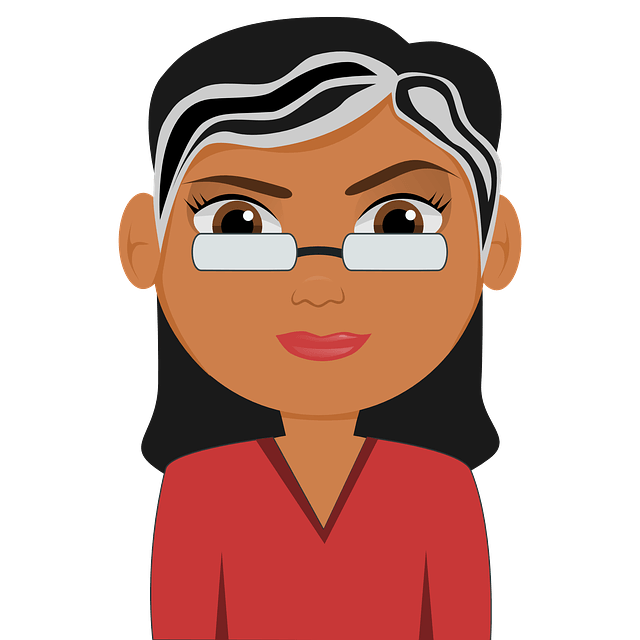 My mom has septic arthritis can she take ACV? Yes, she can take apple cider vinegar to get relief from the discomforts caused by septic arthritis. I have had inflammation in both of my hands for several months now – feeling like a slight puffiness. I started using ac vinegar (1 tablespoon) with a big glass of water and almost immediately my hand inflammation reduced noticeably. After less than a week of doing this once or twice a day, my hands feel normal again; I can’t tell you how long it’s been since they felt this good.. I plan to keep this up as long as my hands are pain free. Also take with 1 teaspoon of fiber (metamucil, in the morning). I feel likes this is a miracle. I will tell all my friends in case they are feeling stiffness or inflammation in their hands. Best of luck to everyone else who tries this. I suffered excruciating pain on my Left Shoulder for 2 months. It was inflamed and very painful even to touch. herbal patch to my left shoulder. Pain did eased off but sooner again the inflammation reoccurred. a day, morning on empty stomach, afternoon and at night before bedtime. A week later, I cannot believe the pain is gone. If it decreases bone density what do take to counter act that ? It is better to avoid ACV consumption for a longer period of time. It is better to take a gap of at least a week after consuming ACV daily for a month. Meanwhile to be on safe side, you can take potassium and calcium supplements to prevent reduction in bone density. Yes, it helps to reduce the symptoms of neck arthritis. You can add lemon and turmeric into it. Add 1 – 2 teaspoons of apple cider vinegar, 1 teaspoon lemon juice and 1/2 teaspoon turmeric powder into a glass of water and drink it. I have PMR and have been taking predisone for 3 years I have got the dosage to 5 mg but the pain has come back I do not want to increase the predisone so I have been taking 1tbs of vinegar in the morning with 4oz of V8 juice , It does not seem to be helping do you have any suggestions? I am really wondering why arthritis comes. Is it from genetic family? I am a letter carrier for 28 years. My hands, knees, feet neck from looking down for 8 to 10 hours all have it. I’m only 55. Is it possible to get rid of this arthritis via apple cider vinegar, honey, garlic, ginger and lemon juice. This was all cooked up and I keep in refrigerator eat 1 tbsp with warm water. I was given this recipe from a fellow carrier from India. All in 1 cup incriminate. Along with tumeric. Thanks for answer. I was told helps with diabetes and cholesterol. ? Arthritis can be also genetic, or it can be caused due to weak immune system, muscle weakness, obesity, infection, calcium deficiency and many others. Arthritis cannot cured completely. However, you can reduce the discomforts to maximum extent with apple cider vinegar. Apart from that take vitamin D, calcium and omega fatty acid supplements or foods to strengthen your immune system and control the pain as well as stiffness. It is very important to do some light exercises to maintain the joint flexibility. Will ACV with honey give the same result if I don’t take it in the morning, but before my main meal in the afternoon? I have knee problems. Drinking on an empty stomach in the morning help to remove the toxins from the body and improve your immune system. This helps to control the inflammation that leads to knee pain. So, it is better to drink it in the morning itself. However, you can also drink another time before having your main meal. I have osteoarthritis of the right knee and meniscus repair in 2015. Since then my right knee is extremely inflafmmed and swollen and I can barely walk. Now my right hip is hurting I think it’s because I am limping because my know is so swollen I can’t straighten it out anymore. Which ACV remedy in the above article would you recommend for the quickest relief of the swelling? We suggest trying 2, 6, and 8th method mentioned in the above article. I have posted a question twice about having PMR and talking ACV for the problem. I have been taking 2 tbs in the morning with 4oz of V8 juice and does not seem to be helping. I have not recieved a reply from Admin am I doing something wrong. mmm that’s so helpful to hear about this ACV !! I was having bone problems I gone to doctor and he told me that I’am having arthritis two years away from now he gave me injection and medicine which is Methotrexate and antibiotics an its slow down but when it came back again it hurts me so much! now I’m suffering a lot of pains from legs, joints, wrist, lower back bone, lungs and Heart! All I want to know doctor ACV and these other Mixture can also help me on all of these Pain? every day.) when he went to the dr. for a simple procedure and died a few weeks later. We determined afterward he got staph while in the hospital. I still do Bragg’s, local raw honey and doTerra essential lemon oil drops. I don’t take any prescription drugs, have nothing to take them for. I drink homemade colloidal silver for my immune system. No cold or flu in almost 25 years. Big Pharma and Monsanto are our worst enemies. I have AS. I am taking ACV in a glass of water from last 4 months along with few alternative therapies. I am also following low carb diet and hence avoiding sugar and honey. Your above posts suggest to have a good alkaline effect, ACV should be taken along with honey. Is honey required or I can continue with only ACV in water. what is boswellia? i have never heard of it eather, and where do you get it. I have cervical stenosis would Braggs help with the neck pain I have? would love to hear back. i started taking 2 tabs ACV with quarter teaspoon Bi carb soda in a glass of water twenty minutes before eating twice daily. Can I take ACV while I’m in tubal ligation & CS after 2months..I have rheumatoid arthritis and all my joints are in pain it almost 1month.